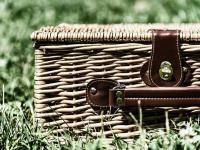 Life’s a picnic at new seafront family area! 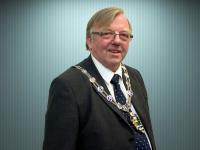 Councillor Alan Gammon, Brookfield Ward, was elected as the new Chairman of Arun District Council at the Annual Council Meeting on 16 May 2018. Chairman ends year in Style! 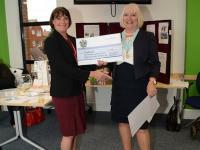 At a reception held at Arun Civic Centre outgoing Chairman, Cllr Mrs Jacky Pendleton proudly presented cheques to her chosen charities. 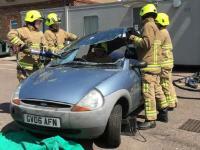 Staff at the Civic Centre in Littlehampton and at Bognor Regis Town Hall, wore casual dress for the day at the end of April and paid for the privilege to raise funds for the Fire Fighters Charity. Arun beaches gain top Seaside Awards for another year! 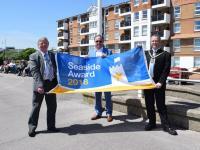 Littlehampton’s Coastguards [East] Beach and Bognor Regis’ East Beach have retained their Seaside Awards for 2018.